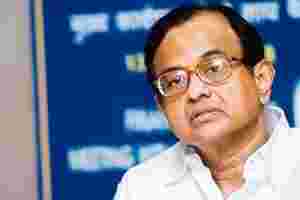 New Delhi: The opposition National Democratic Alliance (NDA) has decided to boycott home minister P. Chidambaram in the winter session of Parliament, which begins on Tuesday, over his alleged involvement in the second-generation (2G) spectrum scam. S.S. Ahluwalia, deputy leader of the opposition in the Rajya Sabha, said the NDA will not allow Chidambaram to speak in the House and demand his resignation over the 2G scam, which relates to alleged irregularities in the allocation of telecom spectrum and licences. “Till P. Chidambaram’s resignation is accepted, we will boycott him in Parliament. We will not allow him to speak," Ahluwalia said. The NDA also decided to support the Left parties’ planned adjournment motion on the price rise, while the Left will support the NDA’s motion against the government on the issue of black money, Ahluwalia said. Advani, who on Sunday completed a nationwide tour that he said was aimed at raising public awareness against corruption, is expected to move the adjournment motion on the issue of black money in the Lok Sabha on Tuesday. The NDA meeting was attended by BJP president Nitin Gadkari, NDA convener and Janata Dal (United) leader Sharad Yadav, Shiv Sena leaders Manohar Joshi and Anant Geete, and Shiromani Akali Dal’s Naresh Gujral, among others. The BJP’s Sushma Swaraj and Arun Jaitley, who are leaders of the opposition in the Lok Sabha and the Rajya Sabha, respectively, also attended. Earlier on Monday, the BJP parliamentary party’s executive also met at Advani’s residence to formulate the party’s strategy for the forthcoming session. The NDA’s decision to boycott Chidambaram is similar to the Congress move against former defence minister George Fernandes after he was reinstated by the Atal Bihari Vajpayee-led NDA government following allegations of corruption. The Congress had then decided to walk out of the House every time Fernandes rose to speak.